The most delectable cheese in the world undoubtedly comes from Europe where cheese experts use ancestral knowledge to produce a variety of high-quality cheese. 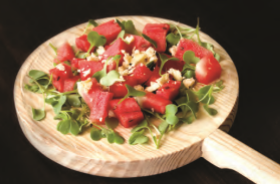 From French Camembert to Greek Feta and also Italian Burrata, the options are endless. 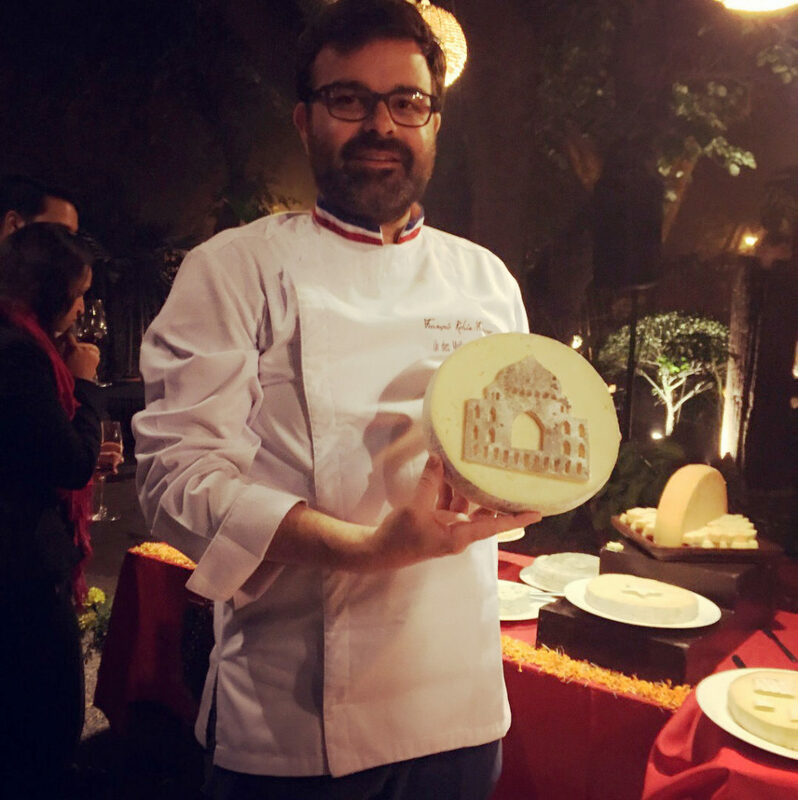 On a misty Wednesday evening, Lodi-The Garden Restaurant in New Delhi hosted an exclusive networking wine and cheese-tasting event with one of the best cheesemongers of France, François Robin. With its signature warm lighting inspired by traditional lanterns, Lodi impressed the sense of a luxury resort in the wilderness. Sweet notes of saxophone guided visitors towards a small gathering of people from media, hospitality and food & beverage industry. Towards the end of the garden area, three tables covered in red linen laid out a sumptuous spread of all kinds of cheese – big blocks of Brie, Roquefort, Camembert and goat cheese waiting to be sliced. With the sheer abundance of cheese placed together, the feast was a treat for both ardent cheese enthusiasts as well as the uninitiated. Cheese master Robin created special recipes for this event by combining vegetarian French cheese (made without using animal rennet) with Indian ingredients and spices in collaboration with Chef Jyoti Sankar from Hotel Park Hyatt, Chennai. Robin stressed the importance of adapting to the local palate so as to increase the popularity of cheese in the country. There were cheesy reinventions of traditional Indian snacks like samosa, pakora, papdi and spring roll . The dishes were simple yet delicious, demonstrating a successful pairing. Indians are traditionally big consumers of dairy products. With increasing disposable incomes, they are investing extensively in international travel. Hence, with the discovery of new cultures and cuisines, the demand for products like cheese is surging steadily. France is one of the largest suppliers of cheese to India after Italy and Denmark, and enjoys a market share of around 13 pc. This India tour was part of the third edition of SAY CHEESE! 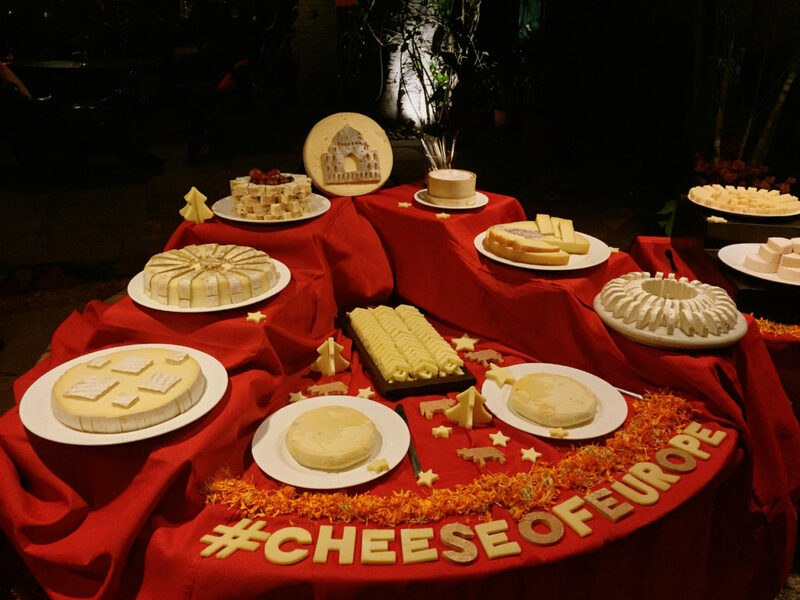 organised by European Union and National Interprofessional Center of the Dairy Economy (CNIEL), France, for promoting French cheese in the Indian market by creating awareness of its variety, texture and quality.